The moment I took my seat in the airport shuttle at Washington-Dulles last Saturday, I felt a sore throat. Two days later, I was experiencing a number of the symtoms of malaria, including chills, perspiration and diarrhea. A couple of more days later I'm still sick in bed, but I begin to recover and open my laptop to catch up with email. At this point I learn that two other colleagues fell ill: one of them back in DC; the other, still in Africa wondering if it's not malaria. Anyway, on to more pleasant news. While in Mali I received an email from my friend, Muriel from Lyon, France. She had just finished spinning two skeins of yarn for my project, Charkhas for Africa. 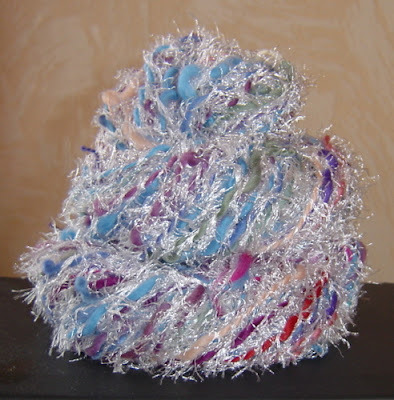 Muriel has mailed off the yarns and I will put them up for sale on Etsy once they arrive. Email me and I will reserve either of them or both, if anyone is interested. 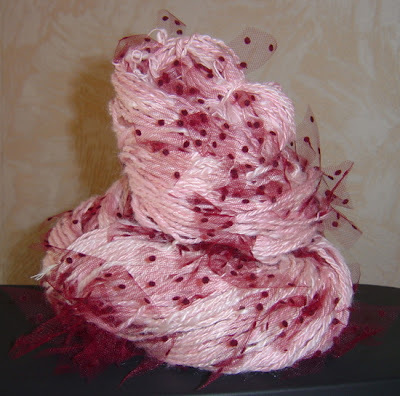 The yarns are lovely and I would understand if the buyer will take her time before knitting any one of them up. At any rate, there is one request from Muriel: that the buyer please send her a photo when the project is done.